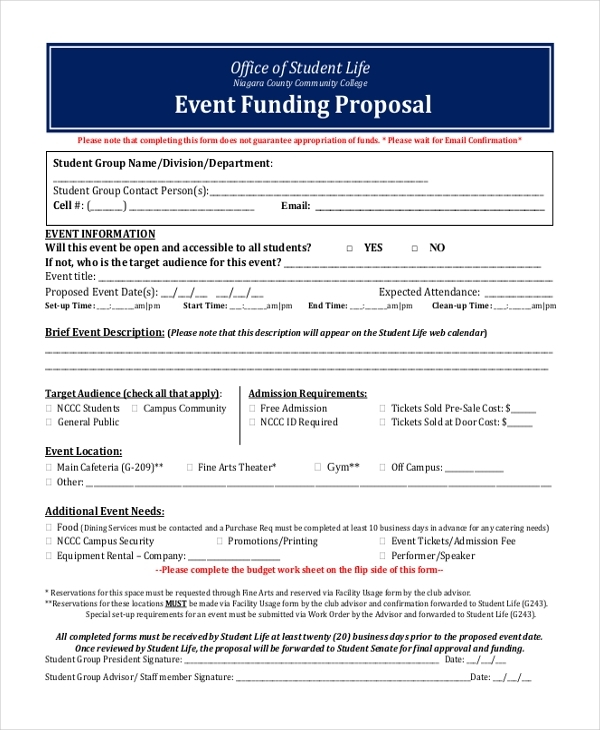 Funding proposal is a document used by entrepreneurs, students or social workers to request finances for their project from a financial organization or person who might be interested in funding the project. The Proposal Forms is a detailed account of the project along with other important information like the target audience, how the person plans to make his idea work, his short and long term goals, the amount of money he is looking for etc. This proposal is used by a person who may be looking for a donor to fund his project. The proposal would help him to present the prospective financer with the details of the project along with the structural breakup of its budget. Used by both established business organizations as well as startups, this proposal helps the concerned party to put forth their project idea to financial organizations or interested donors. The proposal comprises of the details of the business idea and its intended goals. This is a proposal that is used by various agencies to request for funds for their projects and other endeavors. They list down the detailed information of their project along with their fund requisition and how they intend to spend it. 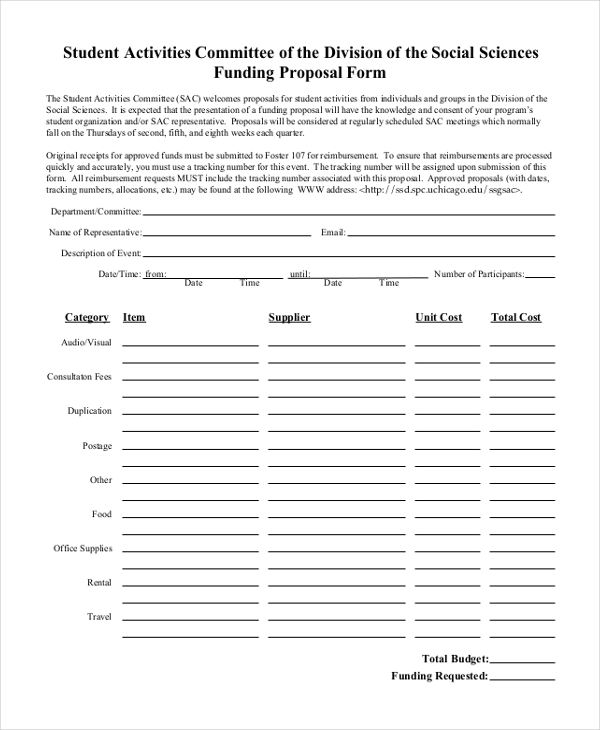 This is a standard proposal form that can be used by anyone who intends to submit a proposal to a financial agency or donor for funds. The user needs to fill in the requisite details in the area provided and then present it to the donor. 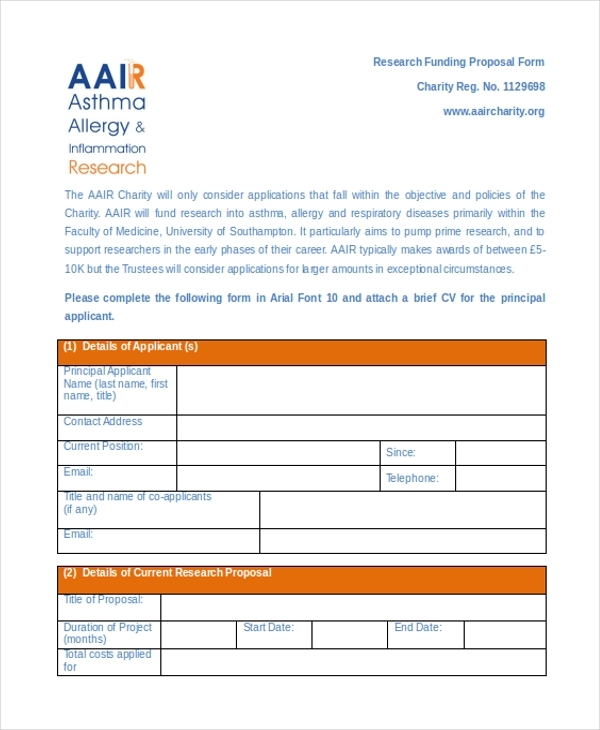 As the name indicates, this proposal form is used by a person who needs funds to carry out a research work. The person is required to fill down the detailed account of the research that he intends to undertake and what his goal is in going forth with this work. 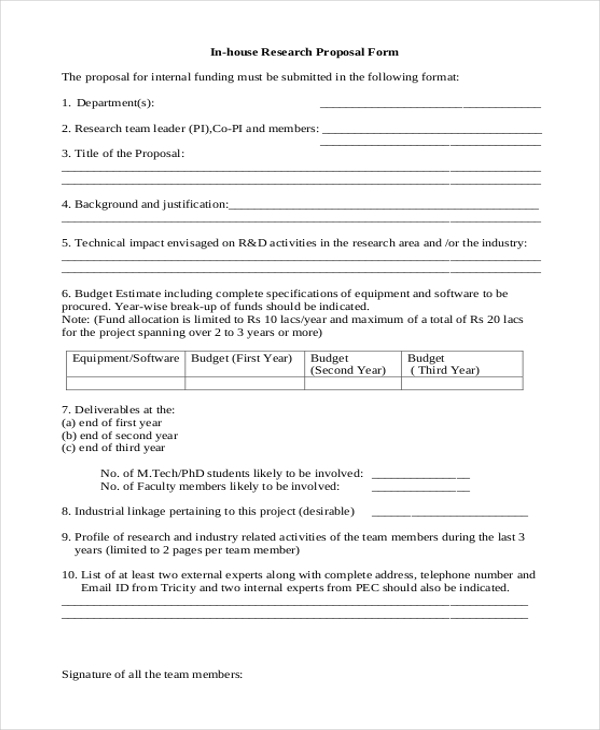 This proposal form is used by the R&D department of an organization to request for funds for their new research work. The employees concerned are required to fill out the form and present it to the higher officials to get their approval for funding. 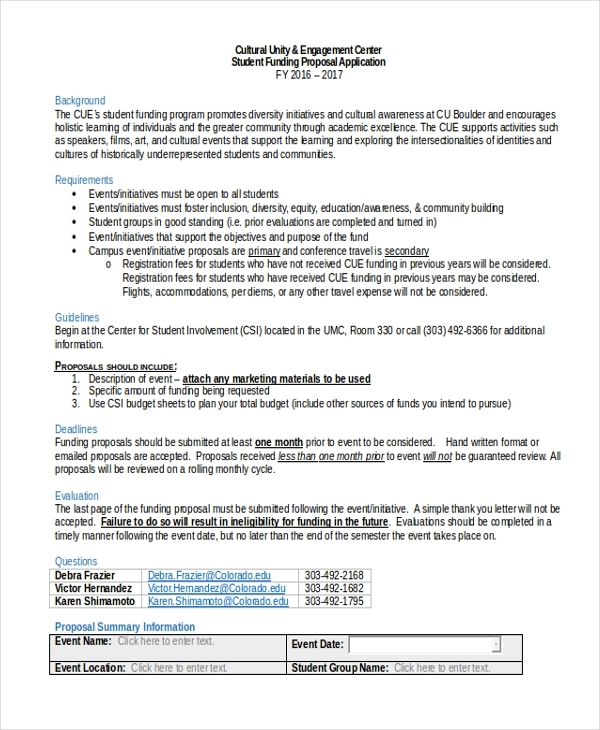 This is usually used in schools and colleges by the student committee for requesting the school management to release funds for activities and events planned by them. They use this to inform the management of the ideas they have in mind and the amount they would need to work on the ideas. 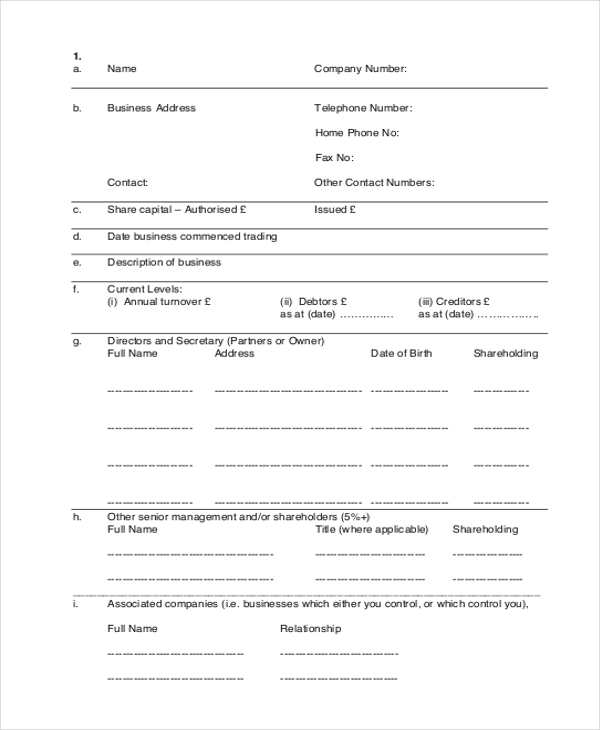 This is an application that is usually used by a student who may be looking for a donor to fund his studies or a project that he may intend to undertake. The application is used to inform the prospective donor about why the student needs funding and other details. 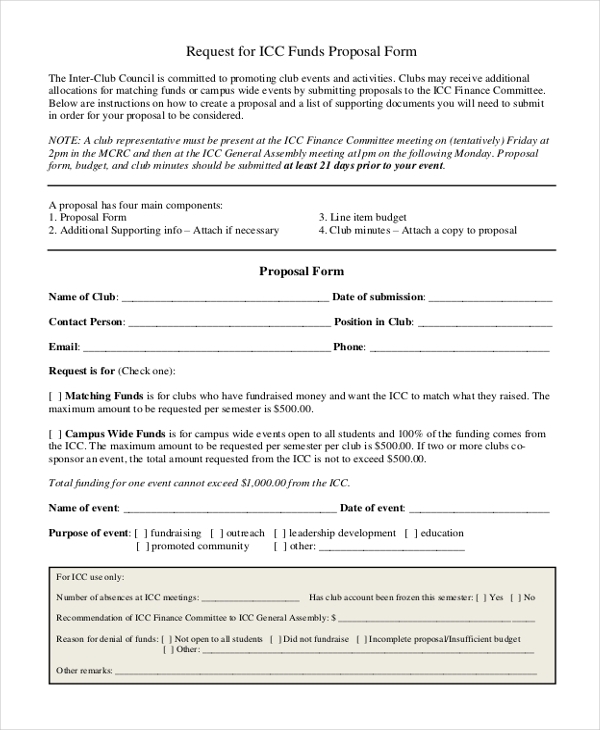 Used by students/committee that may be involved in organizing an event, this form enables them to make a request for funds from higher officials or financial organization by elaborating on their event idea and budget. 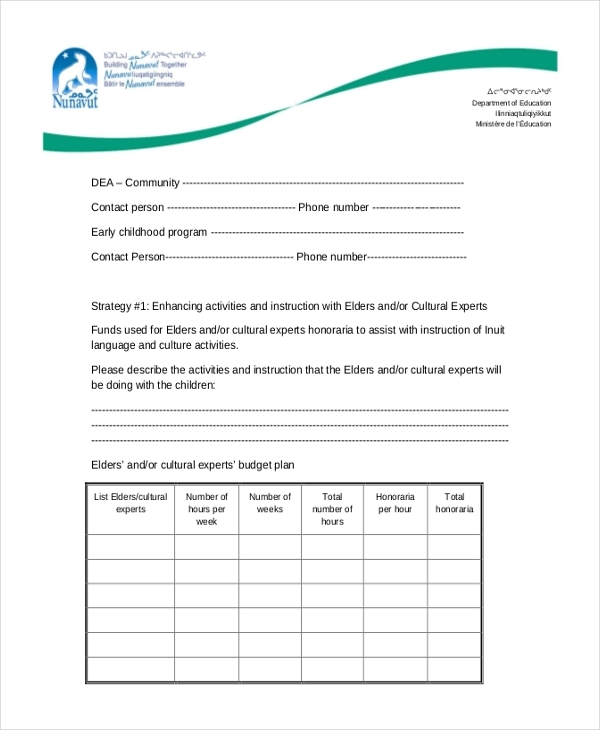 This form is mainly used by non-profit organizations and social workers who may be looking out for people interested in funding to offer education to children. The form would elaborate upon the kind of education that would be offered to the children. Who can Use a Funding Proposal? 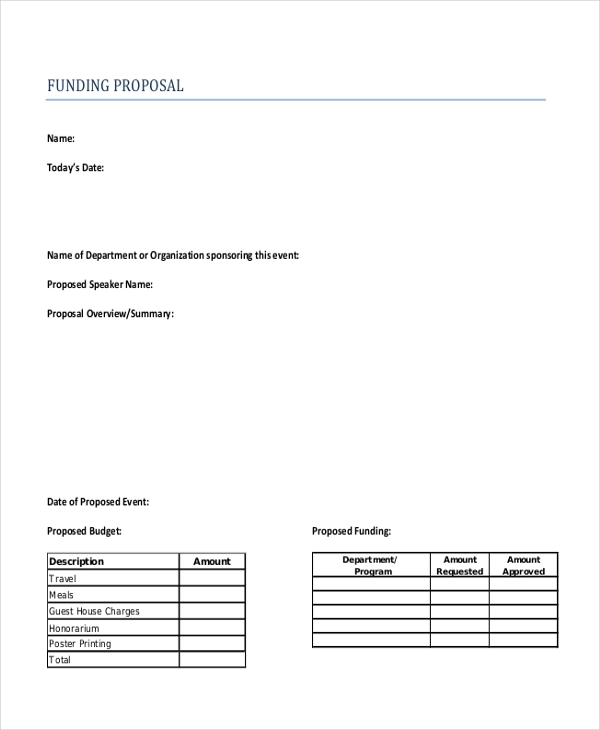 Any person who is looking for funds to undertake a project or organize an event would need a funding proposal. They would need this to present their business ideas to the financial organization to seek funds. Using a funding proposal will help them to gain funds for their studies or any other projects. 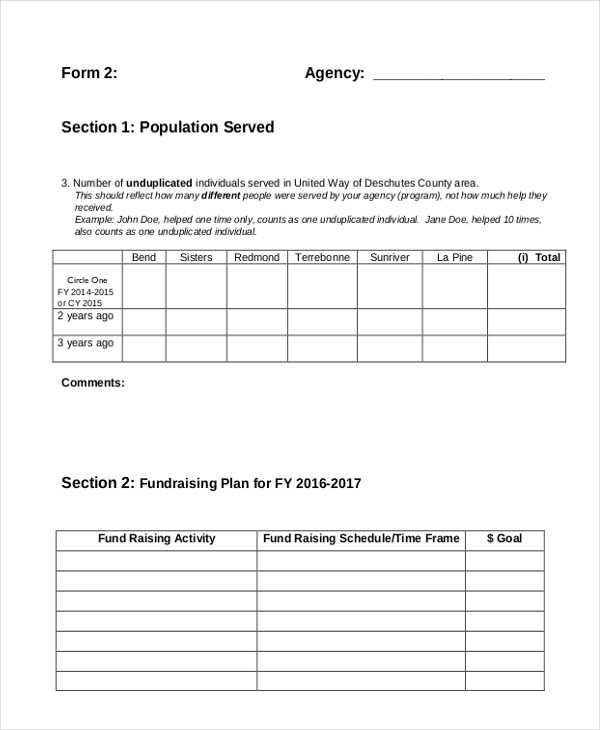 They may use this form to secure funds for an event or a social cause from willing donors. What are the Benefits of Using a Funding Proposal? A funding proposal needs to be attractive and at the same time effective such that it holds the fancy of the prospective donor. Since the funding proposal forms are designed by experts these have a professional look and give your proposal an air of seriousness. These proposals act as the blue print for your project and give your financers a clear idea about what they can expect from you. The funding proposal forms also help you to effectively breakdown the financial structure, thus ensuring that you get a steady flow of funds throughout your project execution stage. How can you write an Effective Funding Proposal? Writing an efficient funding proposal is easier said than done. However, thanks to the funding proposal forms available online, you can now easily find the perfect one for your project. Since these are easy to customize, you can make the necessary changes to these before adding in the requisite details.